Install the anti-skid, unloaded the lamp pole, and install the bracket on the solar panel, adjust the solar panel’s direction and angle, then tight the screw at last. 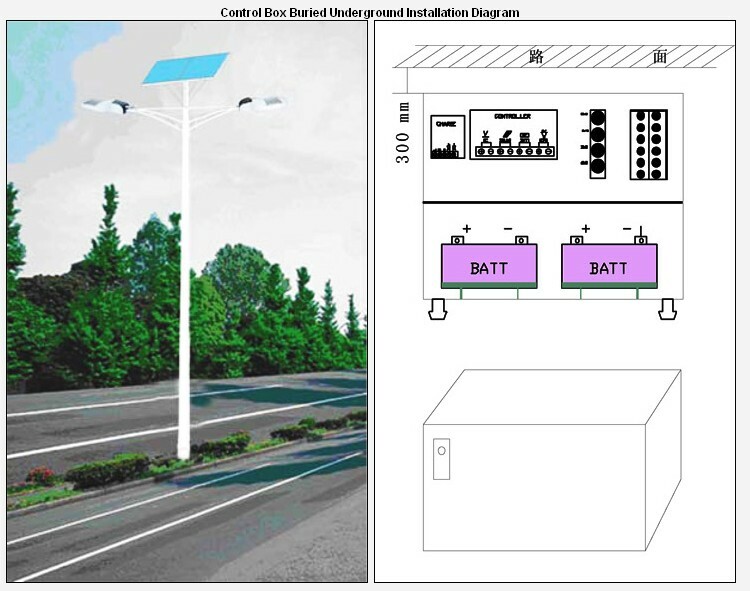 Put the LED Street Light on the lamp pole arm, tight the screws, fix the street light on the lamp pole arm, and then connect the wires. There are 2 screws on the back of the control box, use these 2 screws to fix the control box on the lamp pole. Please confirm there are 2 corresponding screw holes on the pole first. 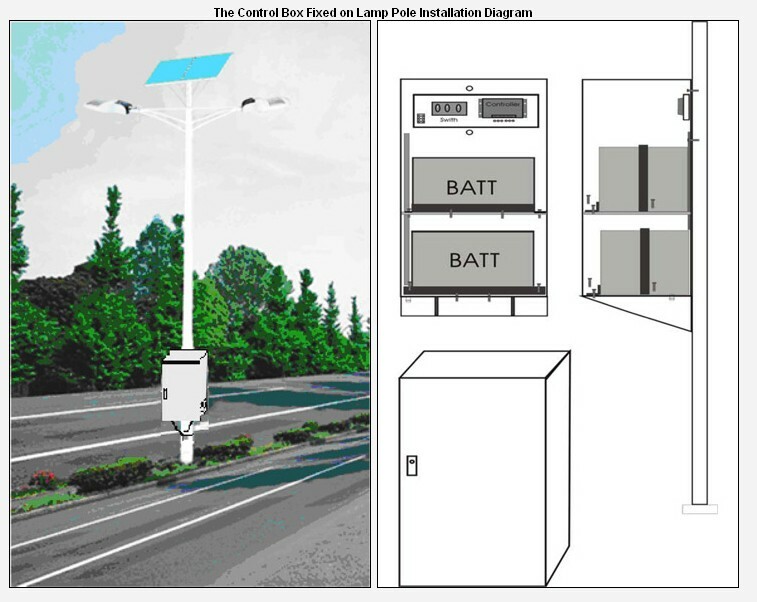 according the Solar Street Light wire diagram. 1. You have finished installing the internal components already; please connecting all the external components according the associated wiring diagram, the internal wiring diagram only supply for maintenance, please DO NOT do modifications and installation by yourself. 2. You must try to install it by yourself before selling out. 3. If you have any problems or questions related to the installation of our LED solar street lights, please contact support or engineers, and we will be more than happy to help you out.. I AM HAVING A STORE IN MARKET PLACE NEAR AURANGABAD,MAHARASHTRA. SIR I AM INTRESTED IN BUYING AND MARKETING IN WHOLE SALE THE SOLAR STREET LIGHT. like what you’re saying and the way in which wherein you assert it.